Platelets are the smallest cells in our blood. They play a crucial role in blood clotting by clumping together and forming a plug when our blood vessels are damaged. 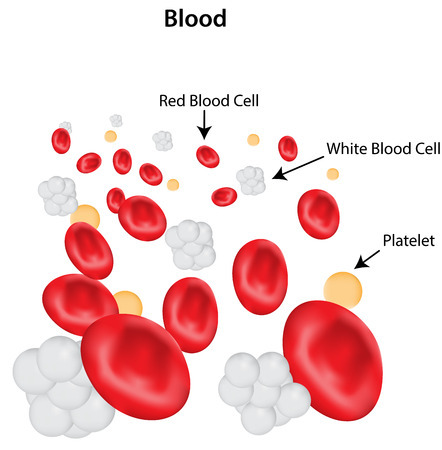 Platelets are the body’s first line of defence in preventing too much bleeding after sustaining an injury. If our platelets do not work well, or there are insufficient platelets, then we are at risk of bleeding. This is called a Platelet Related Disease (PRD). On the other hand, if our platelets form clots excessively or at the wrong time, the clot can block an important blood vessel. This is called thrombosis and can lead to a heart attack or a stroke. Thrombosis can happen in arteries or veins. Platelets are also increasingly being recognised as major contributors to many other diseases, from cancers to arthritis. Thrombosis in the arteries of your heart can cause a heart attack. Anti-platelet drugs are commonly given to try to prevent this happening. Examples of commonly-used anti-platelet drugs include aspirin and clopidogrel. These and other drugs are available as a result of research into platelet-related diseases such as thrombosis. Despite this progress, many people still suffer from heart attacks or strokes. This is one reason why The Platelet Society supports new and ongoing research into platelet-related diseases. Our goal is to use the results of our research to develop better strategies and medicines to prevent and treat thrombosis.